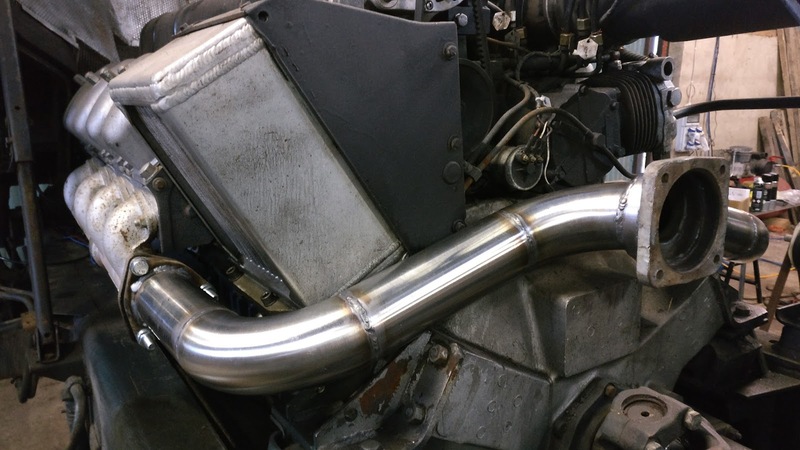 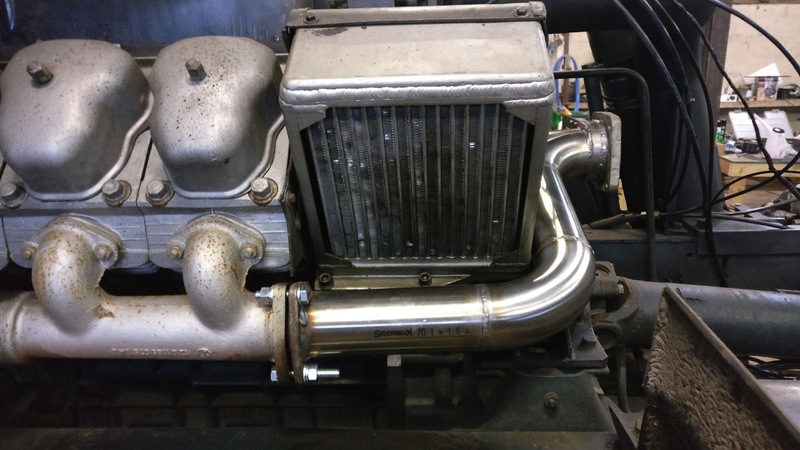 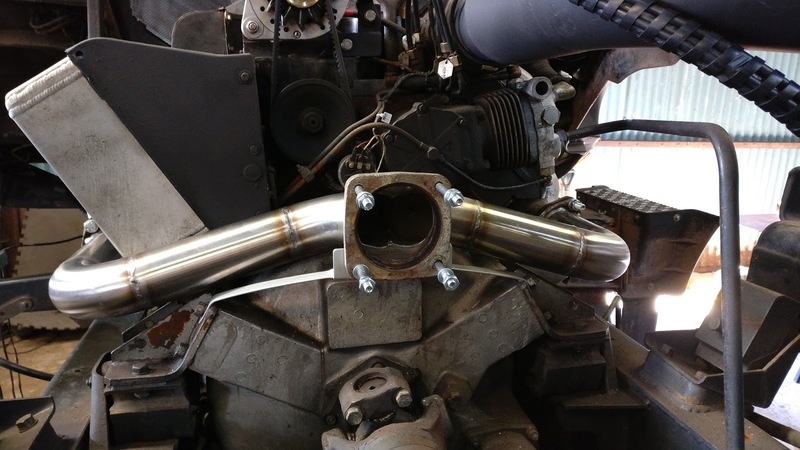 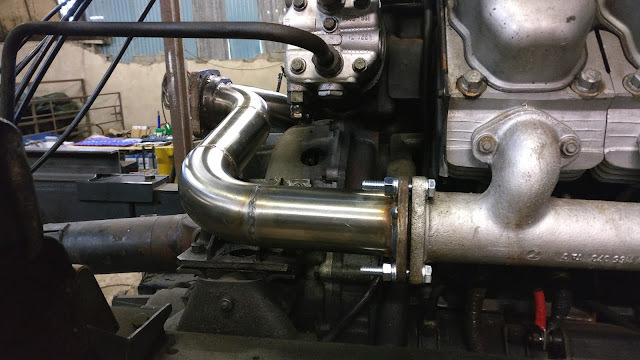 The exhaust manifold was fabricated by a friend of mine (Thanks Andy) he made it by hand so precisely that all the bolts lined up first time, thus it was a breeze to fit. 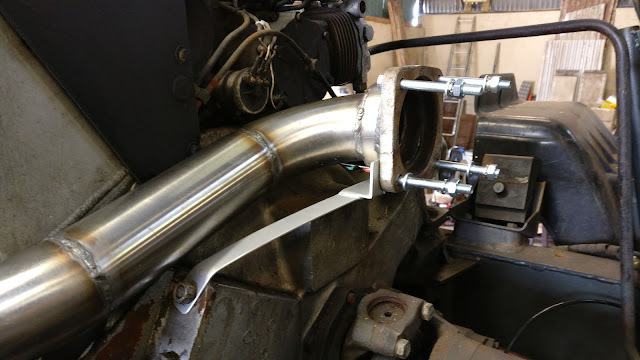 I just had to make a stabilizing bracket to support the engine exhaust brake that will be added later.I made the bracket so that it attached to the engine side of the engine mounts to eliminate the need for rubber mountings. The manifold bolts are a bit long, (it's what i had) i will change them for the right size later.